View the photo slideshow of snapshots taken over the two months! One City, One Prompt (OCOP) Triad took place March - April 2014 as a way to engage persons of all ages creatively around the prompt "begin again." 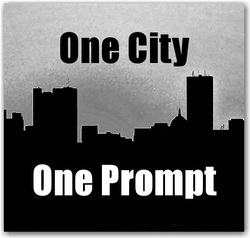 One City, One Prompt, an initiative of the Transformative Language Arts Network, is aimed to get everyone across the globe writing and creating, in whatever genre, on the same prompt. Organizations that partnered with TWP in offering OCOP sessions include -- Healing Ground, Leadership Winston-Salem, NC Writers' Network, Northern Guilford High School, Parkway United Church of Christ, Sacred Garden Bookstore, Tiny Writing Group, Winston-Salem Writers, Women Writers of the Triad, & Writers Group of the Triad. We had nearly 200 individuals, that we know of, who participated in the various workshops. And some participated on our online interactive page. Here's a blog and an article by participants expressing their experiences with OCOP Triad: http://revlindaslines.blogspot.com/2014/03/beginning-again.html & Triad City Beat. We received media coverage from: Winston-Salem Journal, 3/9/14, Winston-Salem Chronicle, 3/6/14, O. Henry Magazine, 3/14, Greensboro News & Record, 2/26/14 & Yes! Weekly, 2/19/14. On May 4, we concluded the two-month long series with a Community Celebration at Revive Coffee & More in Kernersville, "the heart of the Triad." To see photos from the event as well as the two-month long series, click here. Stay tuned to find out what next year's OCOP theme will be! Want more information on OCOP? Email us, follow us on Twitter, like us on Facebook. Click here to read more information about Transformative Language Arts Network.